Blink Publishing has appointed Media Agency Group to coordinate an advertising campaign to coincide with the launch of footballer Rio Ferdinand’s autobiography. Billboards, Underground panels and digital 6 sheets will feature at premium sites throughout Manchester and London. 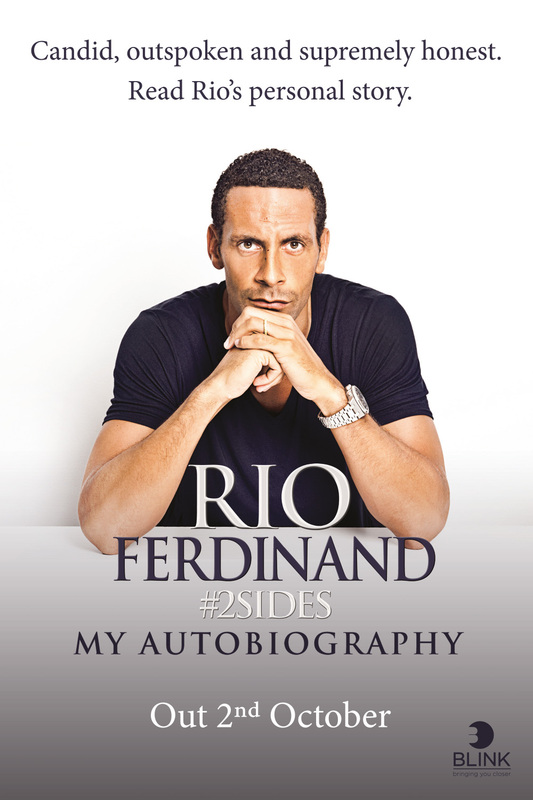 The multi-format campaign will promote Rio Ferdinand’s autobiography, #2sides, which promises to be a ‘candid, outspoken and supremely honest’ read when it hits shelves on October 2nd. Positioned throughout the London Underground and Manchester Piccadilly rail station from September 22nd, the campaign will target mass audiences travelling across the country. 4 sheet billboards will feature in fifty Underground stations including Euston and London. The campaign will also feature at premium Tube stations including Oxford Circus and Leicester Square. Digital 6 sheet advertising will be featured at Waterloo rail station. Taxi superside advertising will also be used to add further weight to the marketing initiative. Taxi advertising is a hugely effective method of furthering reach of a campaign whist reinforcing the message in the minds of consumers.